This book explains why the earliest cities had grid-form street systems, what conditions led to their being overwhelmingly preferred for 5000 years throughout the world, why the Founding Fathers wanted gridform cities and how they affect economic transactions. Real property has been instrumental in forming urban settlements for 5000 years, but virtually all urban form commentary, theory and research has ignored this reality. The result is an incomplete and flawed understanding of cities. Real property became a means of arranging spatial patterns caused by millennia of human evolutionary and historical developments with respect to access and movement. As a result, access to resources of all types became a regulatory mechanism controlled, at least in part, by real property ownership. The effects of real property on urban spatial patterns are currently best seen by examining American urban space, which has changed significantly over the past 200 years. This change, which began in the 1840s and established path dependence through a combination of design thought, sentimental pastoralism and financial prowess resulted in an urban regime shift that diminished economic resilience. 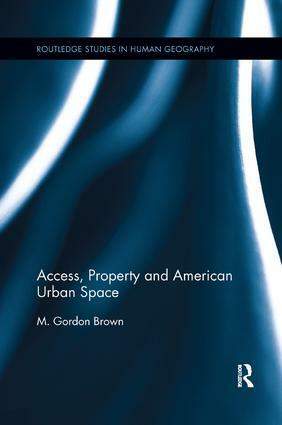 This book offers a rethinking of how real property relates to real space, examines the thought of form promoters, links space, property, neurological evolution and settlement form, shows access is measurable and describes the plusses and minuses of functionalism, rent seeking, general purpose technology, grid-form street systems and what the American Founding Fathers thought about urban form.